South Africa is well known for its incredible wildlife and bush-veld, attracting thousands of visitors each year, from all over the globe. A diverse landscape offering endless coastlines, breathtaking mountain ranges and open savannah. A South African safari or tour is a must for anyone wishing to experience the outdoors and nature at it’s best. There are an endless amount of safari parks, lodges and tourist attractions to choose from. Set on the east coast, in the province of KwaZulu-Natal, is the city of Durban. Durban has one of the busiest ports in Africa, with a number of cruise ships docking frequently. 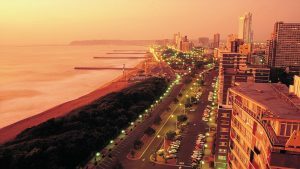 Durban has a bustling nightlife, great shopping, local markets, endless beaches and warm friendly people. Durban has some of the best hotel and B&B accommodation in South Africa. Durban’s Zulu translation is eThekweni, meaning bay or lagoon. First discovered on Christmas day in 1497 by Vasco Da Gama. 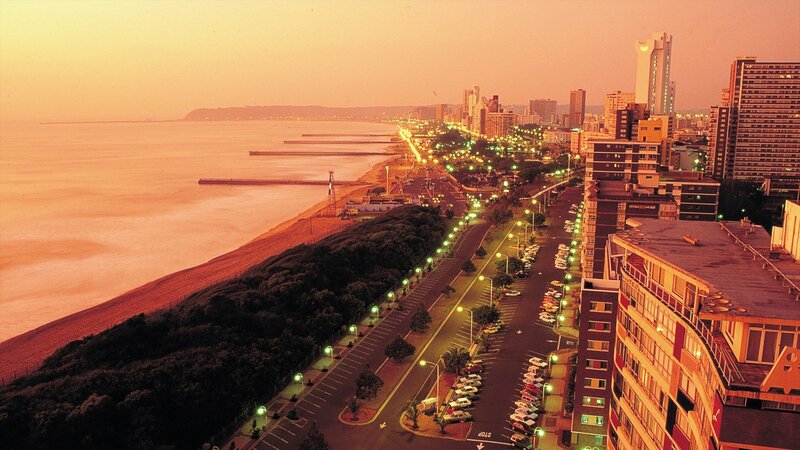 Durban is one of the most popular holiday destinations in Southern Africa. “The Golden Mile” as it is known is a four kilometer stretch of beach running from Ushaka Marine World to Sun-coast Casino. Packed full of restaurants, nightclubs and tourist attractions, visiting this area is a must during your Durban holiday. Surrounding Durban KwaZulu-Natal, are a number of safari parks and lodges, namely Tala Game Reserve. Within a short driving distance are the bigger parks, Isimangaliso Wetland Park, Ithala Game Reserve and the world renowned Hluhluwe-Imfolozi Park. Hluhluwe-Imfolozi is home to the Big5, elephant, lion, leopard, rhino and buffalo.